Grayson Perry curated this exhibition and it is a lot of fun! 250 years of tradition, art and giving a chance to all artists. Heaven. The paintings of London based artist Sam Creasey welcome the viewer into a dystopian narrative formed from a juxtaposition of lurid photographic material extracted from the internet. Come for drinks, fun and oh so arty conversations! 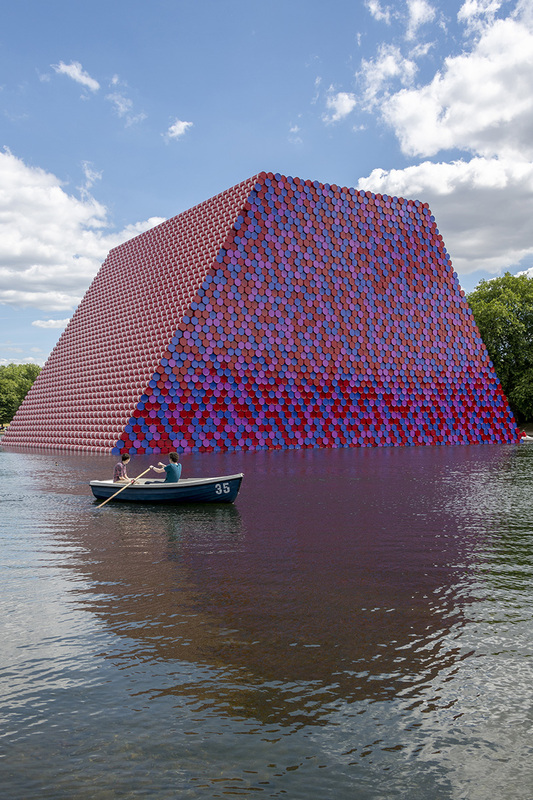 Christo and Jeanne-Claude are celebrated for their ambitious sculptural works that intervene in urban and natural landscapes around the world and temporarily alter both the physical form and visual appearances of sites. This summer, in the heart of London, the Serpentine Galleries presents a major exhibition of the artists’ work, which draws upon their use of barrels to create artworks. To discover more about the London art scene book an Oh So Arty tour with Marine!